In only their second year of competition, the McIntosh High School Multi-rotor drone team (Team MMRT) clinched its first national championship in the National UAS4STEM championship held Aug. 19 in Muncie, Indiana. 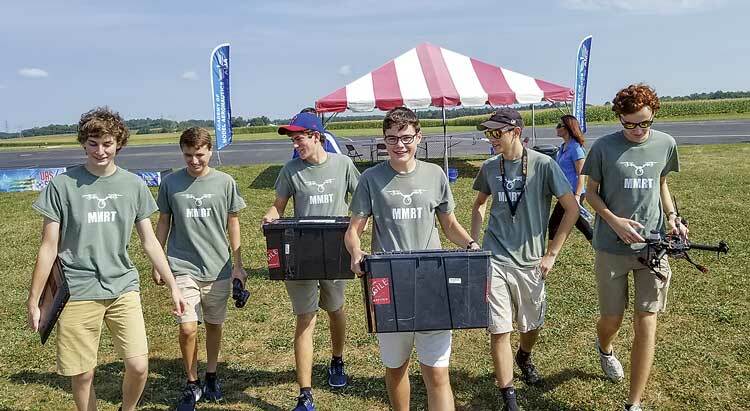 The McIntosh Multi-rotor Team (Team MMRT) was one of 10 teams across the nation participating in the event held at Muncie’s International Aeromodeling Center and sponsored by the Academy of Model Aeronautics, said Fayette County School System spokesperson Melinda Berry-Dreisbach. Above, Team McIntosh carried away the top honors at the UAS4STEM National Championship held Aug. 19-20 in Indiana. Team members are (L-R) Andrew Walter, 16 (11th grade), Parker Korn, 16 (11th grade), Ian Buckalew, 16 (11th grade), Robbie Van Zyl, 17 (11th grade), Marcus DiBattista, 16 (11th grade), and Matthew Harmon, 15 (10th grade). Team MMRT took the top spot on the winners podium to claim the prize of $2,500. Also, Team MMRT Mission Commander Robbie van Zyl received a $1,000 scholarship for leadership and teamwork. Photo/Gerrie Van Zyl. The team overcame fierce competition and high winds to earn this year’s victory. Team members are Matt Harmon, Robbie van Zyl, Ian Buckalew, Parker Korn, Marcus DiBattista and Andrew Walter, said Berry-Dreisbach. The McIntosh team first appeared in the national competition last year, taking home the second place prize. As the first place winners, the team received a $2,500 cash prize. Additionally, team member Robbie van Zyl was selected to receive the Dewey O. Broberg Memorial Scholarship for Leadership and Teamwork. The $1,000 scholarship is awarded to the member of the winning team that best exemplifies the qualities of leadership and teamwork, said Bery-Dreisbach. Berry-Dreisbach said the team qualified for the national competition after winning their regional competition earlier this year. Regional competitions were held at locations throughout the nation with only 10 teams advancing to the national championship. Teacher Robert Grgetic, sponsor of the McIntosh High School drone team, says he plans to add two more teams in the competition next year. 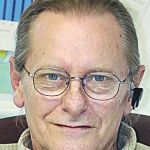 “I have witnessed the amazing learning that this team has gone through, and it would be wonderful to give more students a chance to go through the same process,” Grgetic said. 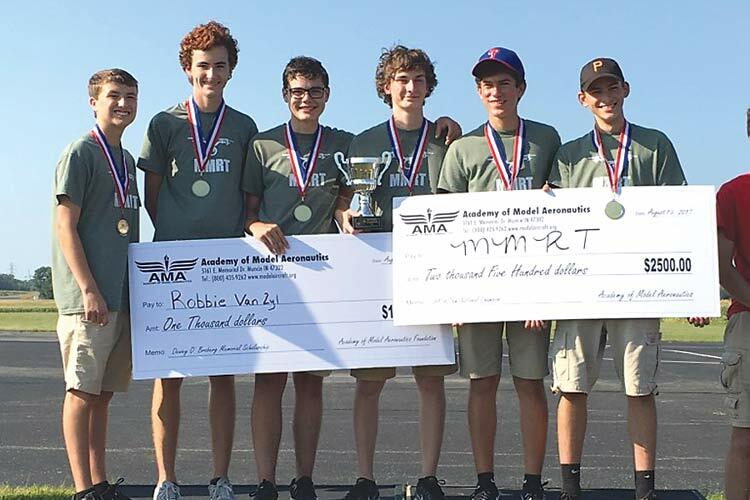 Commenting on the accomplishment, Jerry van Zyl, father of Robbie van Zyl, said after a weekend of intense competition Team McIntosh carried away the top honors at the UAS4STEM National Championship. The team who placed second in last year’s contest overcame long odds, high winds, and stiff competition from the ten best teams from across the USA to take the title, he said. McIntosh Assistant Principal Stacey Smith, in charge of the STEM program, congratulated the team. “This is truly and example of celebrating excellence, and reflects many hours of hard work and living to the values of what makes a Chief,” she said.